While you’re away on vacation or if your schedule simply doesn’t allow you the time needed to commit to establish training, then Board & Train is a great alternative. This is an in-home program; your dog will be learning and sharing our home. We teach all the basic obedience commands: come; sit; down; stay; heel; wait; and ‘leave it’. 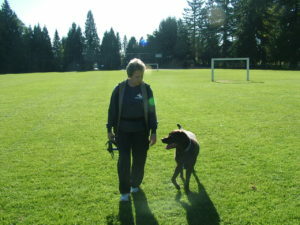 And/or address specific behaviour problems, customized to your requirements and dog’s needs. *A three week program is usually best; however we are happy to tailor training to your individual needs.